If you are new to soaring, you are in for a treat as there is no more challenging or rewarding aviation activity. Soaring pilots routinely climb silently to high altitudes, fly for hundreds of miles and stay up for hours using only their knowledge of natures hidden forces. Some have the idea that soaring is all speed and adrenaline and the sport certainly has these aspects but there is much more. Soaring is the nexus of nature, art and technology. Modern gliders use super rugged high tech materials in their construction. Sophisticated instrumentation allows pilots to use natures forces efficiently. No other type of aircraft features such refined aerodynamics. The art of soaring happens when technology, knowledge and skill are blended together in soaring flight. There is also another surprise awaiting you. Boulder has fantastic soaring conditions all year round. From flights to 40,000 ft in the winter to 1000 km distances in the summer. 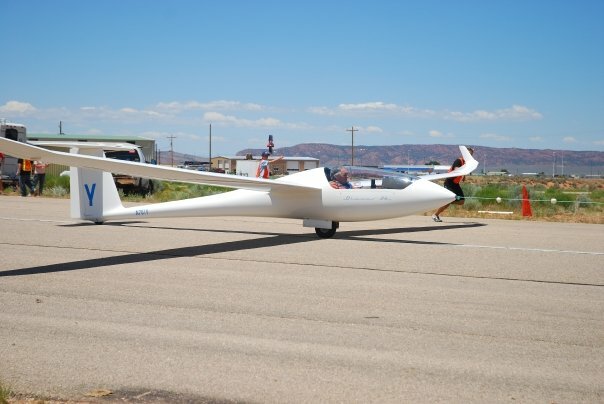 Combined with a strong club this is the ideal way to start your soaring experience.